Booked it for my parents. Good value for money! Great views and very nice staff! Very pleasant stay. Very clean, great location, fantastic view of playa de San Lorenzo. The location was close to siderias and is well as anything you would need. Staff was able to fulfill request for an extra night. The room was better than expected. 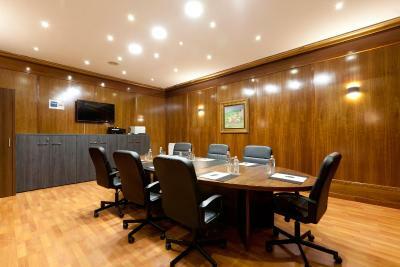 The information on booking does not provide enough information on room caracteristics. In this case the surprise was the room was better than expected. 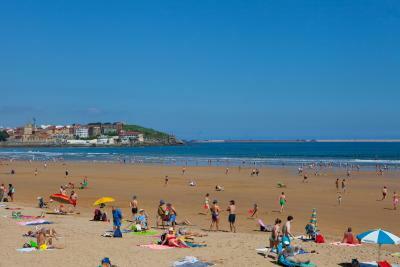 Fantastic location next to San Lorenzo beach, which really is the best attraction in Gijon. Nice comfortable room with excellent bathroom. Very good location near to Park Isabela Catolica (good for gay cruising) 6 mins walk, a lot of bars and good atmosphere. I got a room for very cheap price in last minute and it was a good pleasure - rooms aren't modern design - this is the old spanish style - but still all in good state. The views were gorgeous! I loved that you could push out the window and get the ocean breeze and sounds. 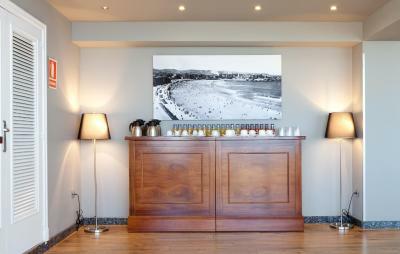 The hotel has an excellent location opposite a fabulous beach. Staff at reception are helpful and professional. Breakfast is good value for money. Parking closeby. The view is amazing and the room was recently renovated and quite large. Clean laminated floors and USB connectors by the bed, large flatscreen TV. Location was perfect, in front of the sea, many cafes around. 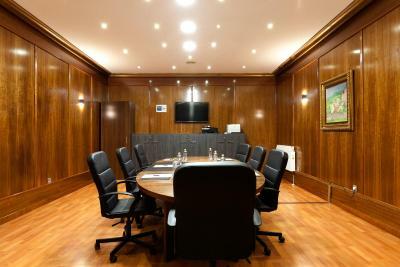 Hotel Príncipe de Asturias This rating is a reflection of how the property compares to the industry standard when it comes to price, facilities and services available. It's based on a self-evaluation by the property. Use this rating to help choose your stay! 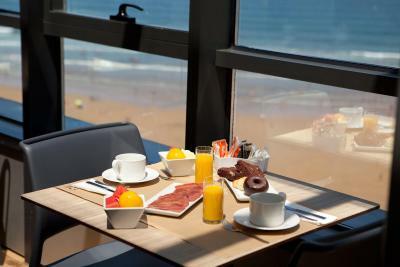 One of our top picks in Gijón.This modern hotel overlooking San Lorenzo Bay is just across the road from San Lorenzo Beach. It offers spacious rooms with free Wi-Fi. The marina is 0.9 mi away. All heated rooms at Príncipe de Asturias are equipped with a modern private bathroom including toiletries and a hairdryer. 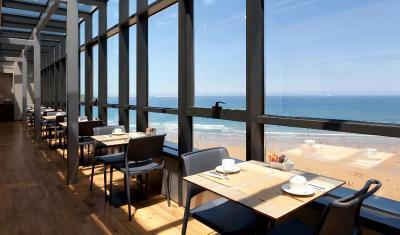 Guests can enjoy impressive sea views from the hotel’s breakfast room. 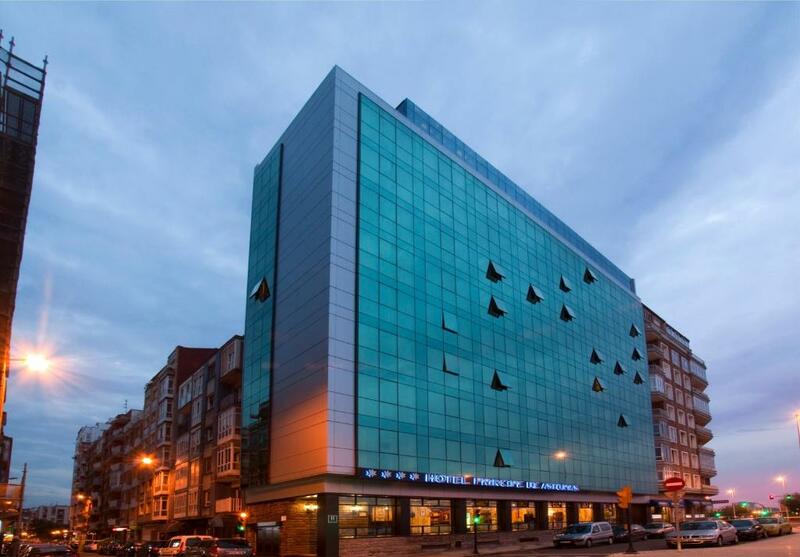 There are several bars and restaurants within 10 minutes’ walk of Príncipe de Asturias Hotel. Parque Isabel la Católica Park is just 5 minutes’ walk away and the historic center of Gijón can be reached in about 15 minutes on foot. El Musel Ferry Terminal is 4 mi away, and the Train Station is a 20-minute walk away. 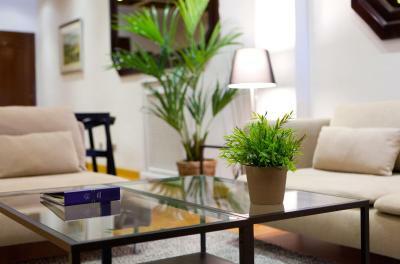 When would you like to stay at Hotel Príncipe de Asturias? This twin room has a mini fridge. Featuring sea views, this spacious room includes heating, TV, and mini-bar. The bathroom comes with free toiletries, bath or shower, and hairdryer. This twin room features a cable TV, mini-bar and air conditioning. 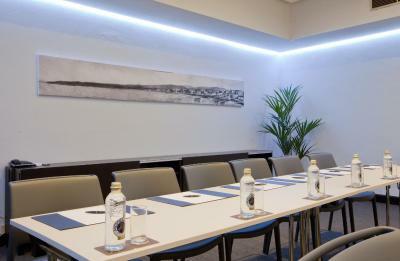 House Rules Hotel Príncipe de Asturias takes special requests – add in the next step! Any additional older children or adults are charged EUR 24 per night for extra beds. Euro 6000 Sistema 5B Hotel Príncipe de Asturias accepts these cards and reserves the right to temporarily hold an amount prior to arrival. 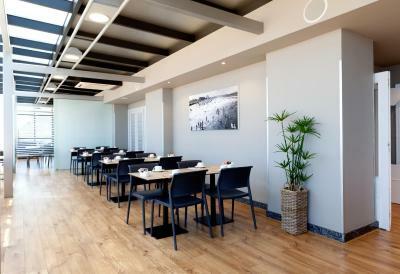 Hotel Príncipe de Asturias accepts these cards and reserves the right to temporarily hold an amount prior to arrival. The breakfast room is understaffed, loud and messy. Hotel parking is expensive. Hotel seems a bit run down and appears cheap which is sad given the location. The wifi connection had a complicated password and needed to retype every now and then. Room view (city view) was an enormous inner yard. Despite of this, lighty room. Staff, facilities, truly comfortable bed, and on top of all breakfast! Ashtonishing views from breakfast room. No outlets except in bathroom. Not good for charging phones or tablets. Super location. Sea view rooms are amazing. Internet did not work for me, but it might have been my phone. Us phone. View, location and price. Very clean. Bathroom amenities (only shampoo and soap) could be stepped up and having a hot water kettle in the room would be nice. When we paid at check-out, they didn't ask if we wanted to pay in Euros or USD with our card; I always prefer merchants ask rather than assume. The hotel is ancient in the interior. Rooms and corridors look very old and rooms are not well soundproof. Very old, not really clean. By no means four star.